This Land is My Land! – Test Version | This is My Land! Read this book and consider would/could you have fought this epic land battle as Peter Wise did? 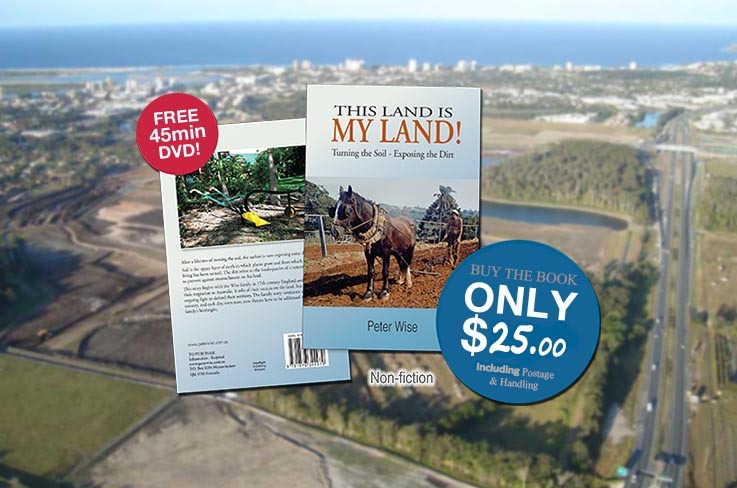 “This Land is My Land” is Peter Wise’s contribution, hopefully, to inspire others who feel the odds are against them in the pursuit of fairness. Property owners be aware the system may be designed to work against your perception of justice. After reading “This Land is My Land”, ratepayers throughout the country may cringe when they realize they are paying the cost if incompetence and skull duggery is the norm in their local authority. 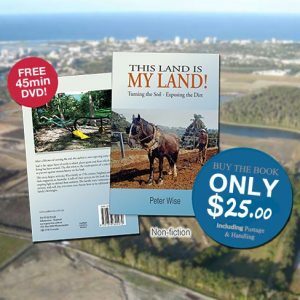 A 45 minute DVD “History (Wise) on the Sunshine Coast” is complementary with the purchase of the book “This Land is My Land”.